The eclectic panel made up of Vanessa Butnick Davis, VP, Legal & Managing Product Counsel at LegalZoom, Eric Weiss, Co-founder and COO of coParenter, Liam Moriarty, CEO of Lawgood, Adam Callahan, Director of Client Relations at One400 discussed how their companies have contributed to the disruption of the legal industry by making law more approachable, accessible and understandable. 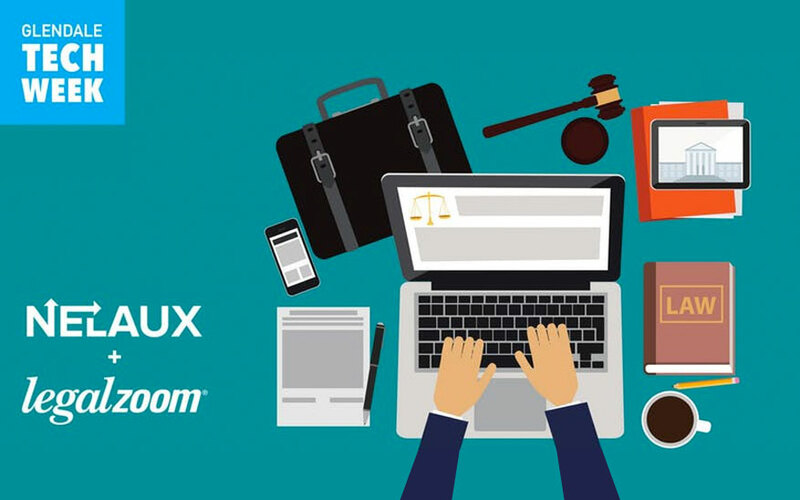 LegalZoom has been providing access to legal help to everyone through web-based products since 1999. The company has been one of the greatest disruptors of the legal industry by utilizing design to present legal information in a digestible format. coParenter is a tool designed to help separated, divorced, and never-married parents communicate, manage, and organize everyday co-parenting responsibilities. By mediating relationships through technology, coParenter has allowed parents to stay out of the courts and put “kids at the center, rather than in the middle” of a separation. Lawgood has been using technology to provide access to legal services, specifically for small businesses, entrepreneurs and freelancers. By changing the way legal contracts are drafted and formed, Lawgood has been easing the lives of those working in the gig economy. One400 is a marketing agency that helps law firms and legal tech startups to gain market share by helping to make them successful online. One400 not only helps law firms better market themselves in the digital age, but also assists in legal tech product development. One of the key ideas that resonated with me the most during this evening was the idea of “democratizing justice.” “Democratizing justice” was a phrase mentioned by both Vanessa Davis and Adam Callahan, speaking of the mission from which many legal tech companies, including their own, exist–to make legal services more accessible to everyone, so that, ultimately, there are more equitable results for all. Where the value of a lawyer is based on knowing something only lawyers know, access to justice is namely access to information. Just as the internet has democratized expertise, in general, legal tech companies are making legal services and resources more accessible, approachable and usable. One way in which they have been doing that is through the simplification of legal forms that were once exclusively completed and submitted by attorneys. By utilizing design-thinking to simplify complex content, legal tech companies are providing access to legal services without the high fees through the development of platforms to make digestible the complex legal processes and knowledge that eludes the average person. However, as an industry with licensed professionals, and one governed by defined procedures and standards, a unique design problem legal tech companies have had to address is how to make the experience of engaging with legal documents comprehensible while ensuring that the output conforms to real law so that such documents are not invalidated in a court of law. While many companies have been “disrupting” the legal industry by creating tools that bring understanding of aspects of the law to everyday people, they have had to do so by working with the status quo and building good will. And by doing so, they have created greater opportunities to innovate. Similarly, strategic partnerships with parties within the existing industry infrastructure creates greater ease in impacting that industry. For example, Eric Weiss shared about how a relationship with a family law judge, who understood the problem Coparenter aimed to solve, helped to create opportunities and use of their product/service. The judge was someone from the inside who helped to get buy-in with other counsel simply by suggesting its use. As with any endeavor to impact change, we need allies from the inside to help establish credibility as well as to better engage the audience we are serving and with which we are needing to collaborate. Though there will always be that group of lawyers who will never be open to utilizing technology to help their practice, many have come to understand that legal tech is not here to replace them, but rather to assist them. 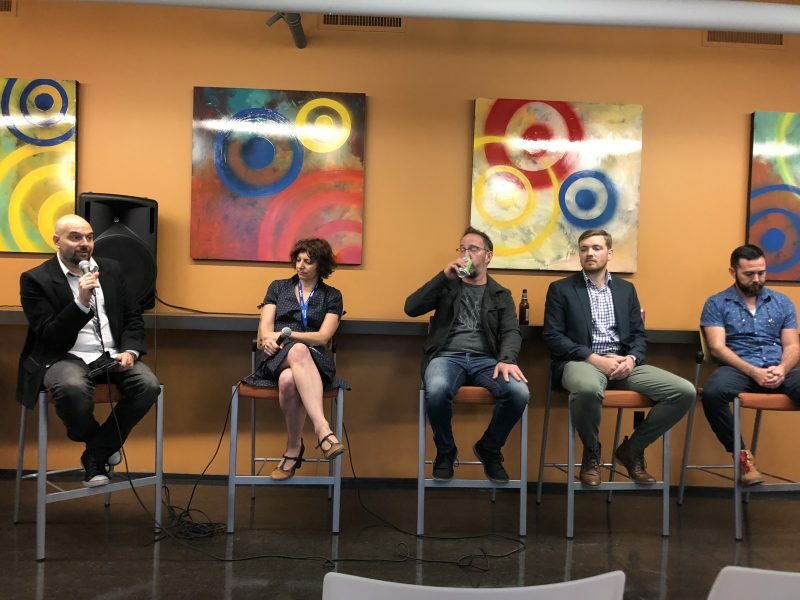 Vanessa David shared about how she used to get the cold shoulder from members of the bar, but now many years later, many are seeing how legal tech companies actually have created opportunities for them. Many companies including LegalZoom, Lawgood and One400 all employ lawyers both to serve customers and to help develop products. A key message conveyed by the panel was that their companies were not there to take the work of lawyers away from them, but rather to make their job easier by automating tasks and better capturing and managing data. For example, One400 helped Specifio to develop a product that auto-generates software patent applications, thereby automating an aspect of the patent application process that is tedious and inefficient and allowing lawyers to better utilize their expertise and skills to more meaningful tasks in the patent application process. Having practiced in an industry that is essentially a medieval guild, I have seen many ways in which the legal profession is riddled with inefficiency. (Thus, I have found myself much happier working in a profession that actively seeks to remove inefficiencies). While on one level, there is not an incentive to work out these inefficiencies in the legal industry (because lawyers are paid for their time), the advantage of utilizing more technology lies in gaining a competitive edge when it comes to bidding a lower cost for a potential client. And, in an ideal world, automating certain tasks with more technological tools could be a means to help improve the experience of lawyers to do more meaningful work and possibly less work in general.